One of the best destinations in South America is Ecuador. Places to visit range from historical and cultural landmarks to unique ecological wonders. There are many amazing places to go in Ecuador. Check out our list of the Top 10 Places to Visit in Ecuador. Perfect for art history fans, Quito’s Old Town District easily makes the list of places to go in Ecuador. It’s the perfect place to wander because it is full of historic buildings in many architectural styles. For example, the La Iglesia de la Companía de Jesús is a beautiful example of baroque architecture. The Basilica de Voto Nacional is built in a neo-gothic style that incorporates distinctive Ecuadorian features. The biggest church, San Francisco Church, covers two blocks and includes a museum. It’s a double historical landmark you won’t want to miss because it was built in the 1550’s where Inca ruler Atahualpa’s palace once stood. You won’t want to miss a visit to Cotopaxi. 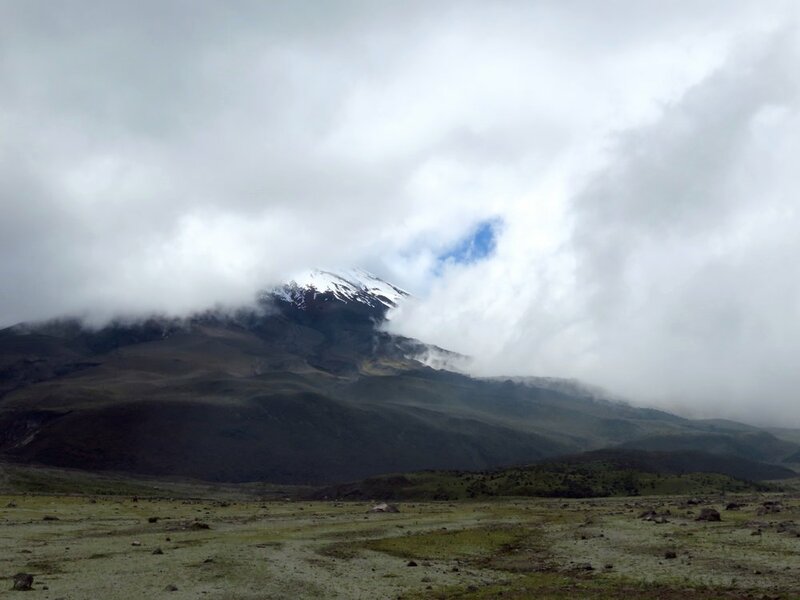 The second highest summit in Ecuador, it is also one of the few glaciers located on the equator. Hike Cotopaxi or take a horseback tour to get a close up view of this wonder. It’s one of the most amazing places to visit in Ecuador. As you travel to Cotopaxi, you’ll pass through the Avenue of the Volcanoes. It’s amazing to see so many peaks and volcanos together. If you follow the Avenue of Volcanoes, you might want to try a train ride through the Devil’s Nose—a series of switchback train tracks carved out of a mountain. Many ancient cultures and civilizations still thrive in Ecuador. Places to visit on your trip should include opportunities to learn about these cultures. Otavalo is the perfect place to interact with Andean culture and heritage. Otavalo is located in the Andes mountains and has a wonderful indigenous market. In fact, it’s one of the most important indigenous markets of the region. Make sure to buy artwork, jewelry, or woven clothing from local artisans to take home with you. Otavalo is a great place for shopaholics. 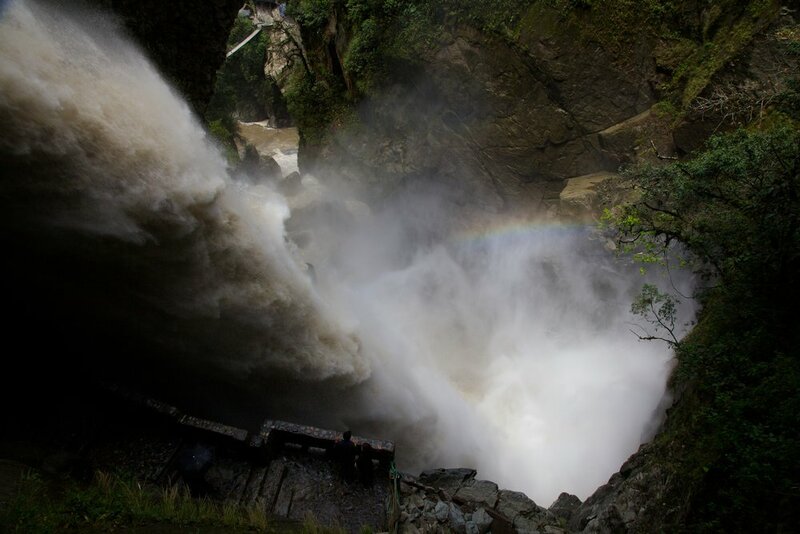 Just outside of Otavalo is one of Ecuador’s most sacred waterfalls Casanda de Peguche, or Peguche Waterfall. It is designated as an Indigenous Ceremonial Site because it is used for purification baths prior to the Inti Rami Celebration at the end of June. The area surrounding the Peguche Waterfall also has tables to eat and trails to hike. It’s the perfect spot for a picnic. Ecuador has many mountains and valleys, which makes waterfalls a normal part of the landscape. The area with the most Ecuador waterfalls is called: “La Ruta de las Cascadas” (Route of the Waterfalls). There are so many beautiful Ecuador waterfalls. Don’t miss the double waterfall called Cascada de Agoyán. Take a gondola ride to the base where you’ll find a serene hanging bridge and park. There’s also El Manto de la Novia (The Bride’s Veil). This waterfall is in a beautiful gorge. You can take a gondola across to see the scenic vistas. And, then there’s Pailon del Diablo (Devil’s Cauldron). This waterfall is extremely powerful. You can even climb behind it and feel its strength. Just make sure to bring a rain jacket or prepare to get wet! Banos gets its name because of its hot springs. Banos means “baths” in Spanish. The city is located the base of the Tungurahua Volcano. The volcano’s natural heat warms the water and adds minerals that help relax your joints. There are many wonderful Banos hot springs. One of the best places to go is Luna Runtun. There you can relax in four different pools and a Jacuzzi while enjoying scenic views of Tungurahua and Banos below. Don’t you just want to be there now? Can you ever get enough of Ecuador Waterfalls? How about Banos? Surely no one can tire of the Banos Ecuador waterfall. One of the most popular Banos hot springs is the Termas de la Virgen, located right at the base of the Cascada de la Virgen (The Virgen’s Waterfall). Soak in the thermal baths and then jump into a cold water bath whose water flows from the Cascada de la Virgen. Spend a whole day relaxing in the natural baths heated by the Tungurahua volcano and cooling off in the Banos Ecuador waterfall—la Cascada de la Virgen. Of course, a list of the best places to visit in Ecuador must include the Amazon. As you explore the jungle along the Amazon river, you’ll see brilliantly colorful birds, monkeys, and bioluminescent fungi. You’ll also have the opportunity to climb a canopy tower and see the Copal Waterfall. Now, who’d pass up an opportunity to see another waterfall? Of all of the places to go in Ecuador, the Galapagos Islands are hands down the most unique. On nature hikes on the Islands, you’ll cross paths with giant tortoises, blue-footed boobies, and more. You’ll even have the opportunity to snorkel or go diving to see wonderful sea creatures up close. 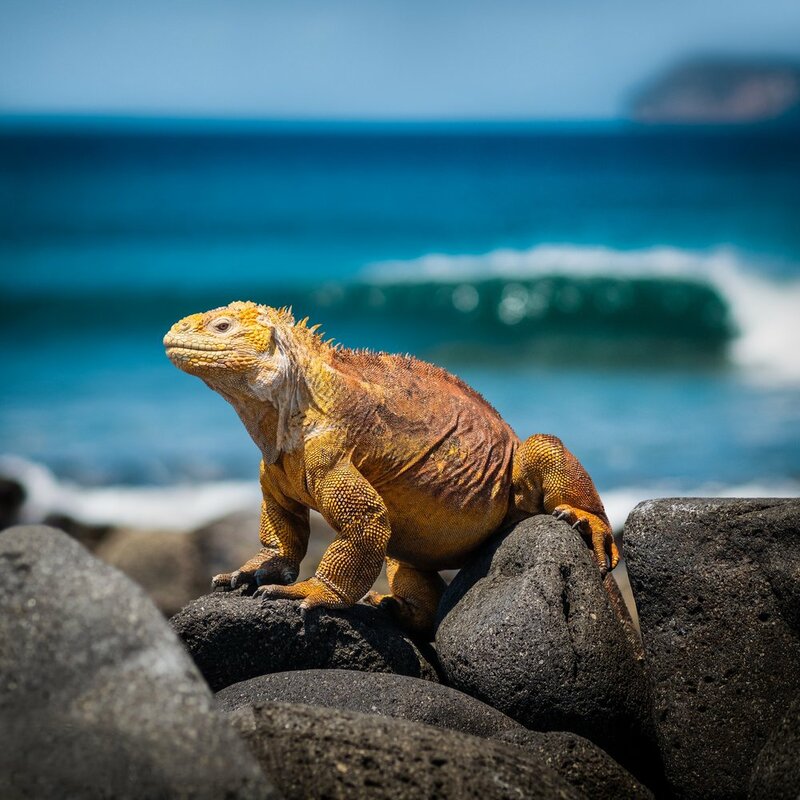 Animal and nature lovers shouldn’t miss a chance to visit the Galapagos! So much awaits you in Ecuador! You’ve got a lot of exploring to do!